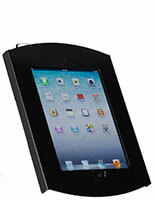 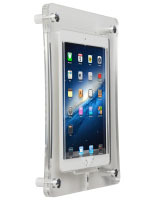 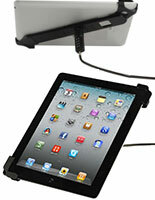 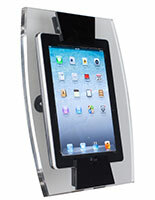 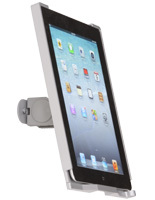 This clear acrylic iPad wall holder w/lock includes a Kensington security kit that attaches easily to devices. 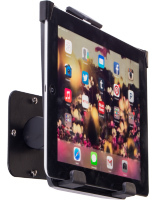 The easy to install fixture is designed to attach to any vertical surface and includes all necessary hardware. 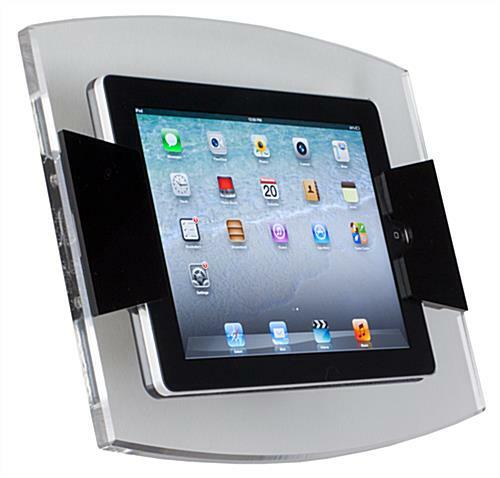 The stylish acrylic iPad wall holder w/lock allows tablets to be inserted to block or allow Home button access as desired. 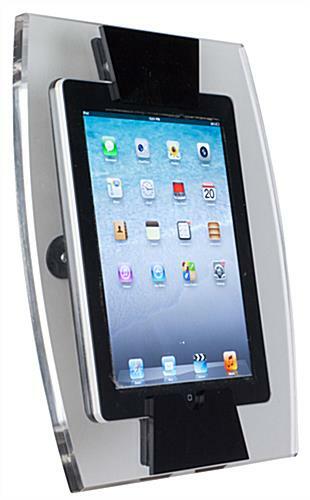 This type of fixture is perfect for retail or professional use because it offers full rotation & tilt for visiblity. 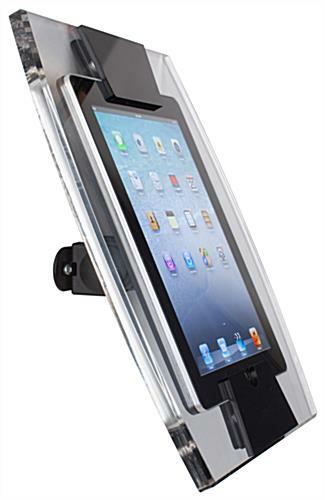 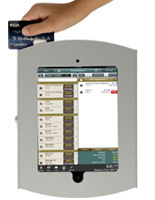 Vertically mounted iPad wall holders w/lock are great for offering customers wayfinding, inventory, sales and merchandising apps. 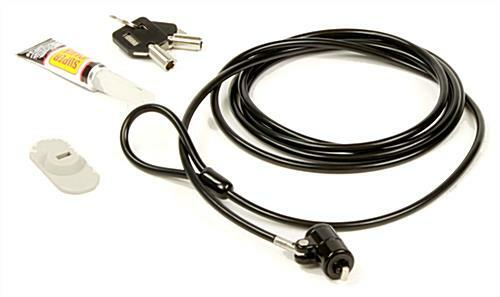 The Kensington cable lock kit allows the actual tablet to be secured for additional device protection.